Across Africa, human populations are growing and the continent’s population is projected to double to 2.5 billion people by 2050. This development is driving an increased demand for resource utilization to meet subsequent nutritional needs. However, land use conversion to agricultural areas represents one of the main drivers for the fragmentation of natural habitat and African lions are therefore at increasing risk of exposure to threats posed by contact with humans. 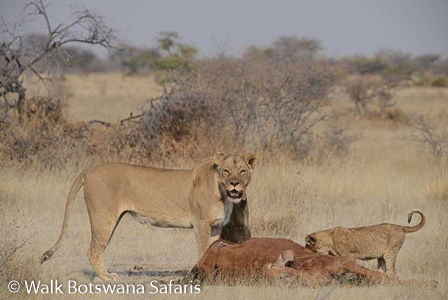 Depredation of livestock frequently results in retaliatory killings of lions, contributing to population declines and loss of landscape connectivity. Most livestock depredation incidents occur at night and where traditional livestock husbandry techniques have been abandoned during daytime grazing. 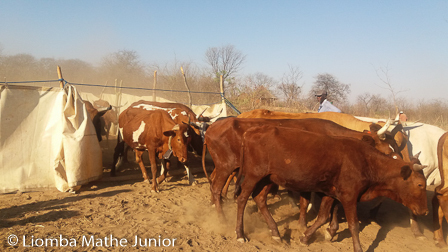 Improved community engagement and appropriate contemporary solutions for livestock protection can therefore greatly reduce livestock losses while reducing the need to kill lions, creating employment opportunities and simultaneously increase regional food security. 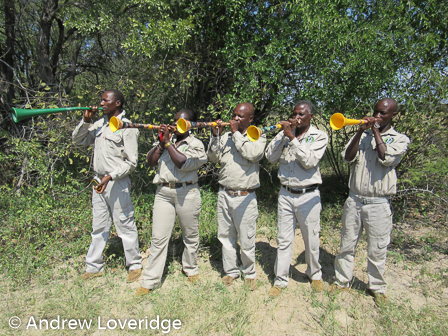 Through the Long Shields Lion Guardian Programme local men and women are employed and trained as Community/Lion Guardians, warning villagers when lions are in the vicinity and actively protecting cattle against the predators. They assist the community with livestock protection and provide a liaison with wildlife management and conservation bodies. The Community/Lion Guardians are on the ground amongst their people and actively patrol their ‘territories’ on a daily basis. 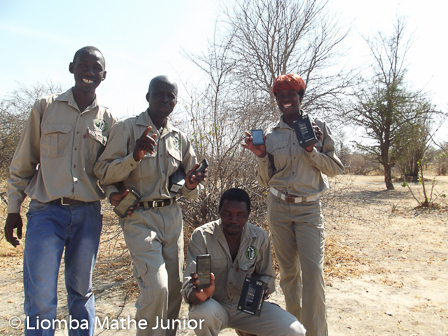 They monitor animal movements (both domestic and wild) using regularly walked survey routes searching for tracks. They further monitor and consult on the strength and maintenance of people’s livestock enclosures and in many cases help repair or rebuild them. 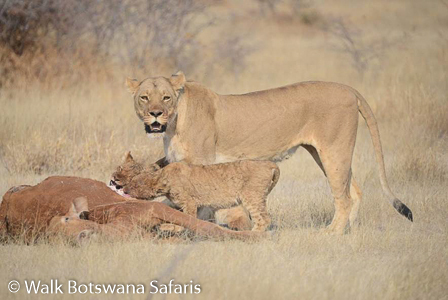 With GPS satellite collars we closely monitor lion prides situated on park boundaries that are likely to come into conflict with people and provide an early warning system to local people. Through a “Whatsapp” group the Guardians are part of a live feed of information and are able to react quickly to potential problems. When lions move out of the protected area into community lands the local Guardian is alerted and they in turn inform their community to move their livestock elsewhere. 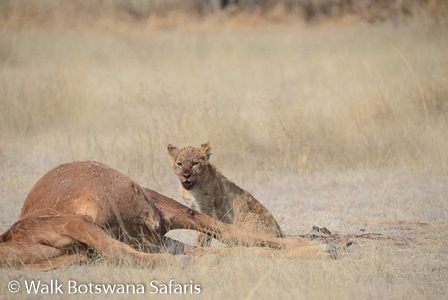 In some cases the Guardians physically deter the lions from community lands and back into the protected area. 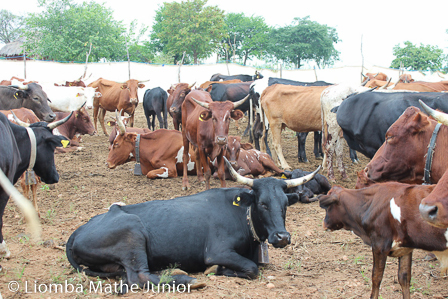 A crucial area that can be improved to mitigate losses of livestock to wild predators is husbandry of livestock. Our findings suggest that a common factor in many conflict incidents is that animals are left outside protective bomas at night, or are poorly protected during the day. In order to mitigate these challenges, we have developed a novel concept that provides several benefits to local communities: (1) protection of livestock from predators at night, (2) improved food security and (3) indirect reduction of lion killings in retaliation for livestock loss. 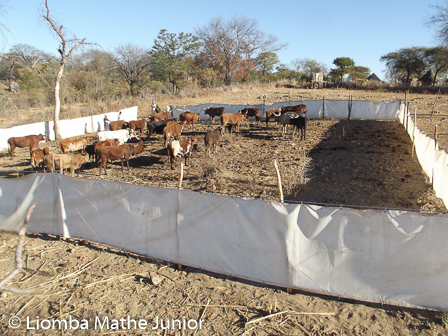 Our Mobile Boma concept encourages communities to pool their cattle in one large high density enclosure overnight. The boma is made of locally acquired opaque PVC material rather than the traditional logs and brushwood. The opaque nature of the boma material, compared to high visibility of traditional bomas, removes the visual hunting trigger and lions do not enter the enclosures. 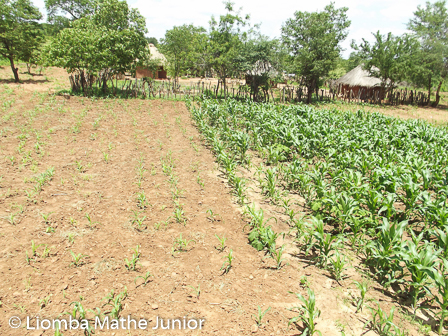 Unlike traditional kraals, mobile bomas can further be placed in crop fields to selectively improve soil fertility and improve food security. Since the start of the programme, an increase in crop yields of ~30% has been recorded, while livestock predation incidents decreased by ~50% and significantly less lions were killed in retaliation. Results further suggest a continuous significant increase in plant size, indicating a potential long-term positive effect on crop yields. In order to increase the positive impact of such successful crop growing and conflict mitigation techniques we have expanded the programme substantially from its initial trial area around Hwange National Park in Zimbabwe into connectivity corridors and conflict hotspots of the KAZA TFCA. 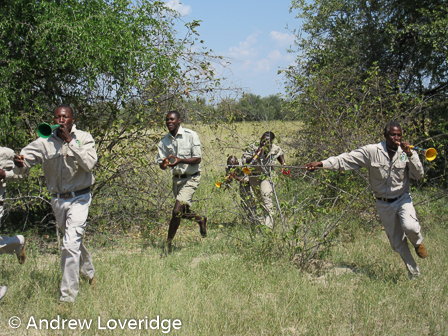 In close collaboration with the Victoria Falls Wildlife Trust the concept was introduced to north-western Zimbabwe in 2016 and further to neighbouring Botswana to be implemented in two conflict hotspots in the Boteti area and the Chobe Enclave. We are continuously raising awareness of the programme and promote uptake of the concept by providing training opportunities to interested stakeholders. 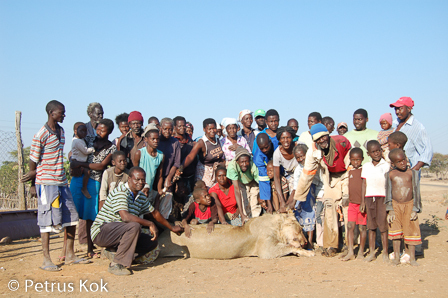 It is crucially important to engage the local community on important issues surrounding the problems of lion depredation on livestock. Prior to the introduction of the programme into a new site, we are therefore conducting an extensive consultation process to ensure that local knowledge is taken into account and that the concept is carefully adapted to locally different requirements. To engage the communities from an early age, we have further written and produced a comic book that introduces important aspects of the project. The comic was distributed free of charge to schoolchildren in the area. 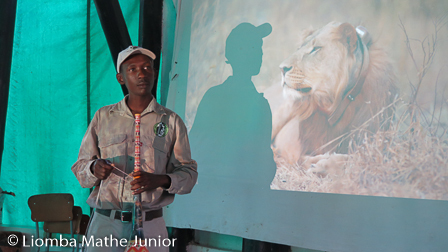 In addition, we visit local schools and speak about lions and our work, including the history and importance of lions to our economy, our ecosystem and our cultures.